Monteverde fountain pen inks with ITF (Ink Treatment Formula) drastically improves ink-flow, extends cap-off time, and lubricates and protects your pen's ink feeding system from corrosion and clogging. Suitable for all fountain pens, quill pens and calligraphy utensils. Available in 30 ml and 90 ml glass bottles in 23 vibrant colors. Made in Europe, packaged in USA. 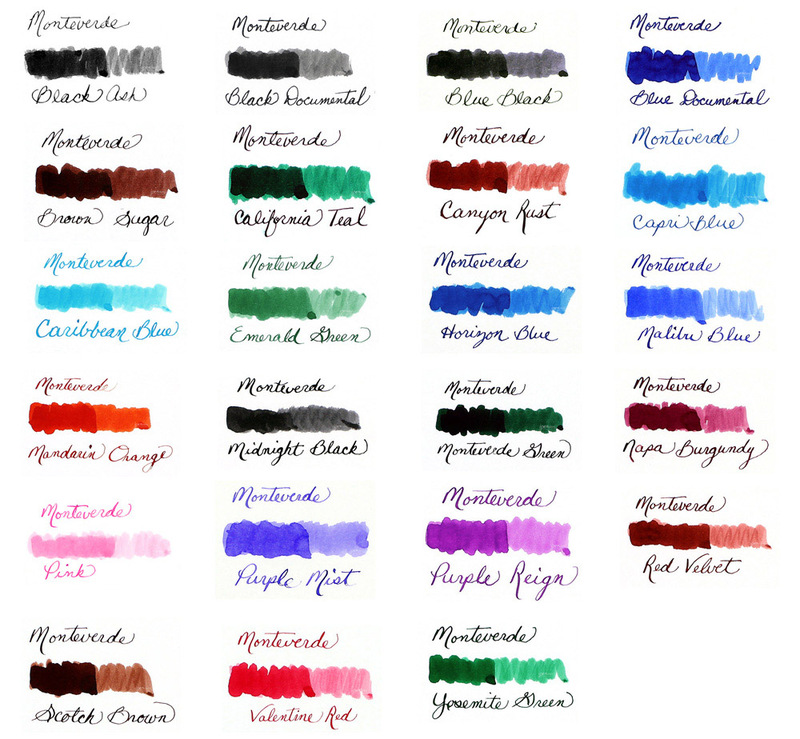 Ink swatches have been made by doing a single swab to show true color, then adding a second layer to the left half of the swab to show how the ink color will shade. and packages of 6 standard international ink cartridges. 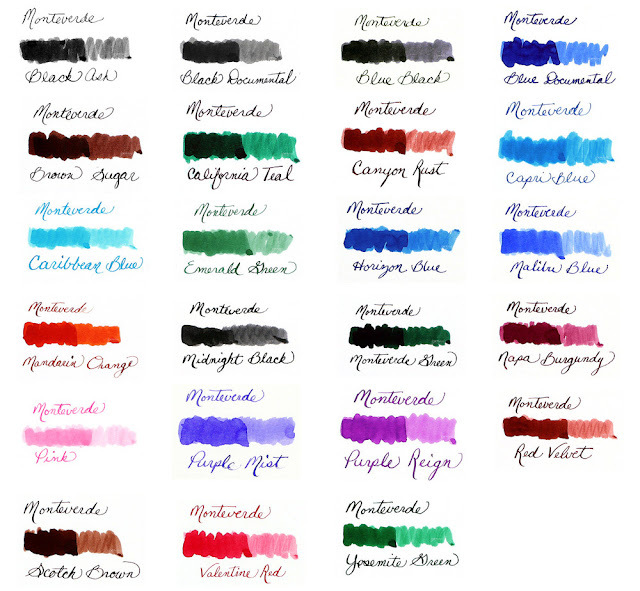 Monteverde fountain pen flush is guaranteed to remove the old and stubborn build-up in fountain pens. It will make your pen write like new again! Ingredients: Distilled water, ammonium hydroxide, biodegradable surfacants, propylene glycol, potassium sorbate, glycerine. Safety data sheet link on bottle label. 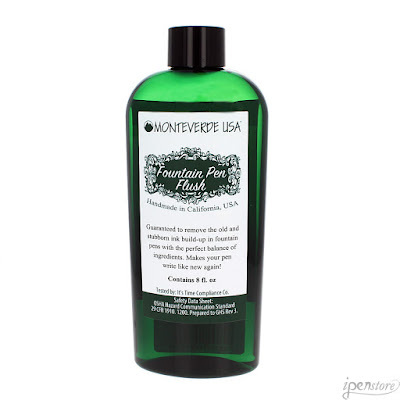 Fill and flush your fountain pen with Monteverde Pen Flush, repeating to remove any extra ink. Fill and flush with clean water again to remove any remaining Pen Flush.